Sun-Filled 2 Bedroom Just Listed! Sun filled North facing unit 2 bedroom/2 bath in Near North/Old Town. This unit offers open kitchen concept with 1 1/4" granite counters, Stainless steel apps, 42" cabinets, pantry closet & island w/ breakfast bar. 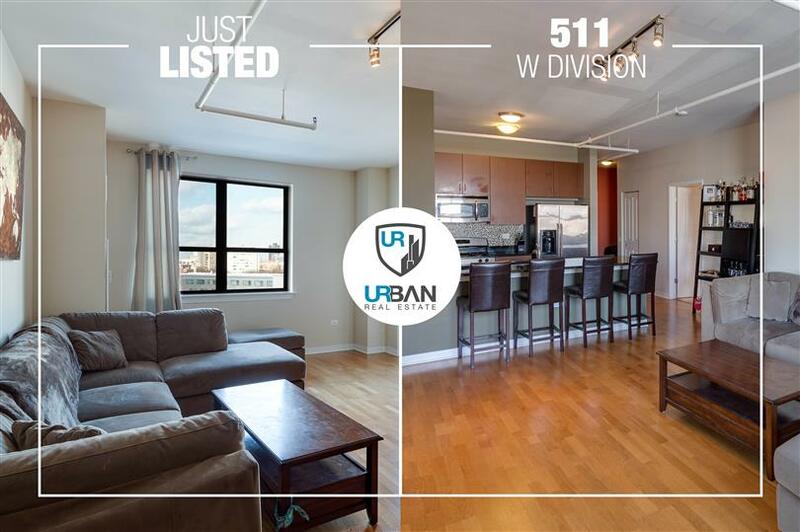 Combined living/dining room has hardwood floors & direct access to covered balcony w/ city views. Master suite features his and hers closets & large bath w/double vanity & soaking tub. 2nd bedroom has ample room for an office, kids room or guest room. Rentals and pets OK, 2 pets under 50lbs allowed, Garage parking 25k. FHA APPROVED!